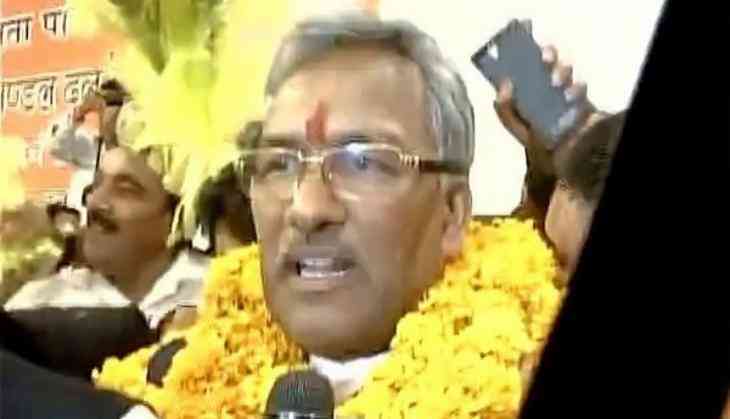 Senior Bharatiya Janata Party (BJP) leader Trivendra Singh Rawat will take oath as the Chief Minister of Uttarakhand today. Rawat, who will be administered oath of office and secrecy by Governor Krishna Kant Paul at the Parade Ground at 3 p.m. here, will succeed Congress leader Harish Rawat to become the eighth Chief Minister of the hill state. Prime Minister Narendra Modi and BJP chief Amit Shah are among the several dignitaries who will attend the swearing-in ceremony. Rawat was unanimously elected the leader of BJP legislative party yesterday. The former Rashtriya Swayamsevak Sangh(RSS) Pracharak assured that he would provide a corruption-free government to Uttarakhand and would work for the upliftment of the poor. In the recently-concluded assembly polls, the BJP won with a clear majority with 57 seats in the 70-member Uttarakhand Assembly, thereby ousting the Congress that managed to win just 11 seats this time.